Can You Pass The Internet's Scandalous 'One Finger Challenge'? Another crazy challenge sweeps the internet. Your selfie game is about to get amped up to an extreme thanks to yet another bizarre internet trend. If you haven’t heard of the “one finger challenge,” then you’re probably in for a surprise. People have bizarre ideas for how to “measure” how skinny they are, and though the tests vary, the spread isn’t very wide, and usually includes manipulating an object in front of a camera to determine just how thin the photographer is. Yes, it does seem a bit of a weird way to determine your appropriate body size, but the one finger challenge is actually a bit tame (and a bit more creative!) compared to some of the other “tests” out there, which include the belly button challenge, the #A4 Waist Challenge, the iPhone 6 challenge, and even the 100 yuan challenge. All of these are incredibly weird, and not in the least bit actually indicative of a good way to determine a healthy weight. I feel that cannot be said enough, to be honest. As for the one finger challenge, the way that it’s completed it by having the selfie taker point the camera at a mirror, and, by carefully angling their free hand, pose in such a way that both the person’s chest and lower regions are tastefully covered by the single extended digit. Thought this challenge is a bit risqué, it actually started with an anime drawing by Sky-FreeDom, and since then, it has gone viral with people trying to mimic the exact same pose and then posting their images on Twitter, Instagram, and Tumblr. Whether this “challenge” has a reason is still to be determined, but that doesn’t seem to keep people from trying. 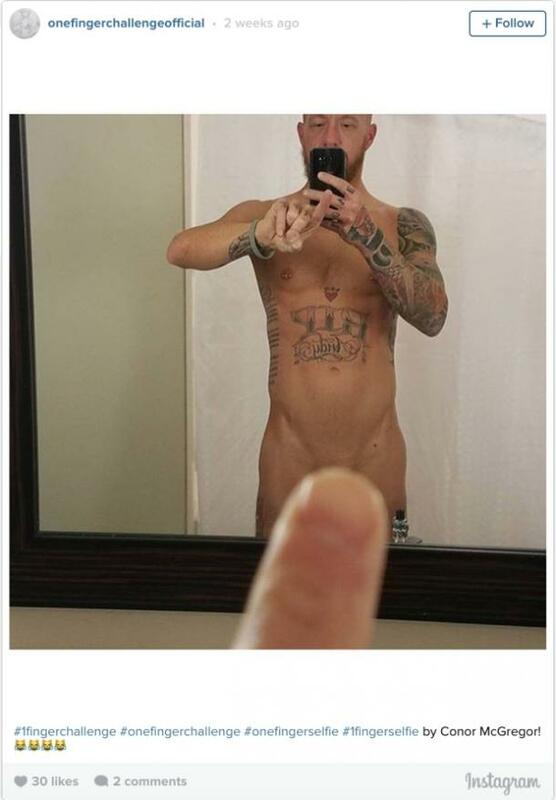 Just remember, if you’re going to do the one finger challenge, make sure your bits are entirely covered before you post it.